I had not come across this before, although it is quite well known. 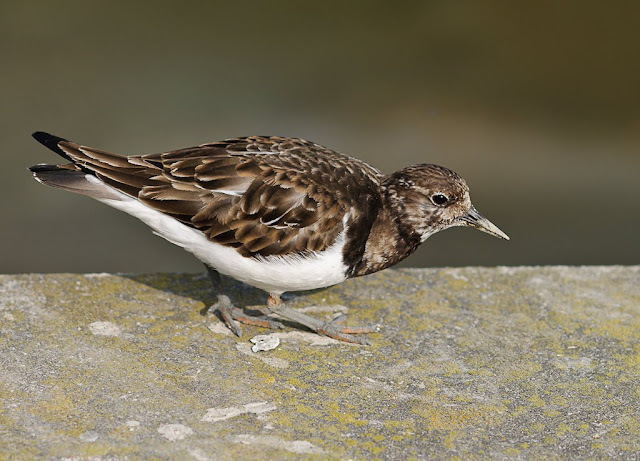 On the quayside in Padstow, some turnstones have taken the lead from the pigeons and gulls by taking up scavenging. They seem to have found that going after pieces of food dropped by humans is a much easier way of feeding than pushing stones around on a beach looking for invertebrates. 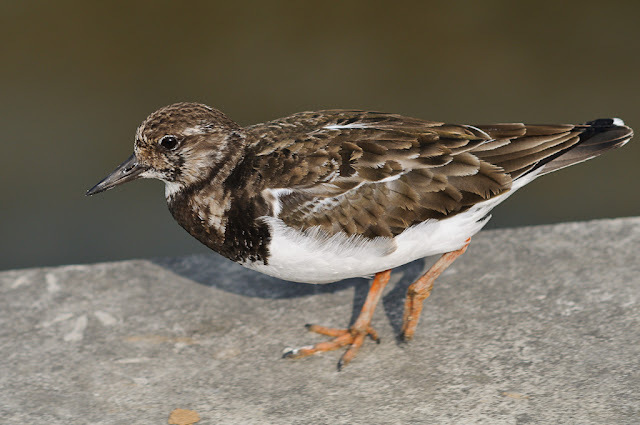 So, we came across a small flock of turnstones on the quayside dashing to and fro, and relatively unafraid of human presence. I took the opportunity to grab a few quick snaps of them. The longest lens I had with me was the Nikon 105 mm F2 DC (love that lens! ), and, even though they moved too fast for me to get very close, I was able to get some shots. Here are a couple. Is that a wonky quayside I spot there?